A strong, lean, and flexible core is what pilates is all about. 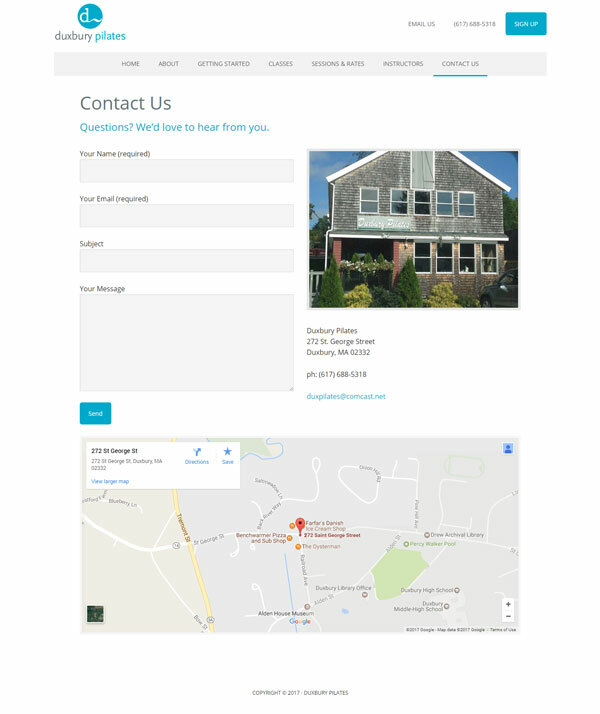 While Duxbury Pilates was working with clients to sculpt their bodies, Mica Web Design was doing the same thing — for the Duxbury Pilates website. The result is a strong, lean, and flexible website that is growing with the business.